We hate to be the bearer of bad news, but before you go to your favorite food stall to pick up some lumpiang togue for merienda, here's something to consider. According to foodsafety.gov, eating raw sprouts can be seriously dangerous to your health. So since lumpiang toge is cooked that means you're safe, right? Not really. 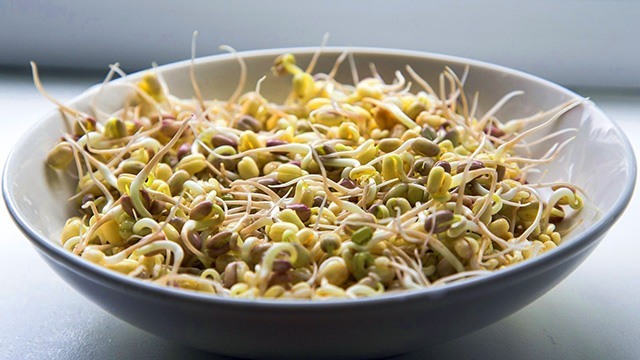 The site reports, "a sprouting seed offers as inviting and nourishing an environment as bacteria like Salmonella or E coli could want–and the warm, moist conditions in which sprouts are produced only make matters worse. A single Salmonella organism on the outside of a seed can easily grow to an infectious dose after it has sprouted." Additionally, the bacteria in or on sprouts can't just be washed off. Even a small dose of Shiga toxin-producing E coli can make you sick. Growers have tried to minimize risk contamination, but no procedure is 100 percent effective. We know what you're thinking: This probably won't happen to you. But a few years ago, sprouts caused a major outbreak of E coli in Europe that resulted to 4,000 illnesses and 50 deaths. So, yeah...this isn't an overreaction.